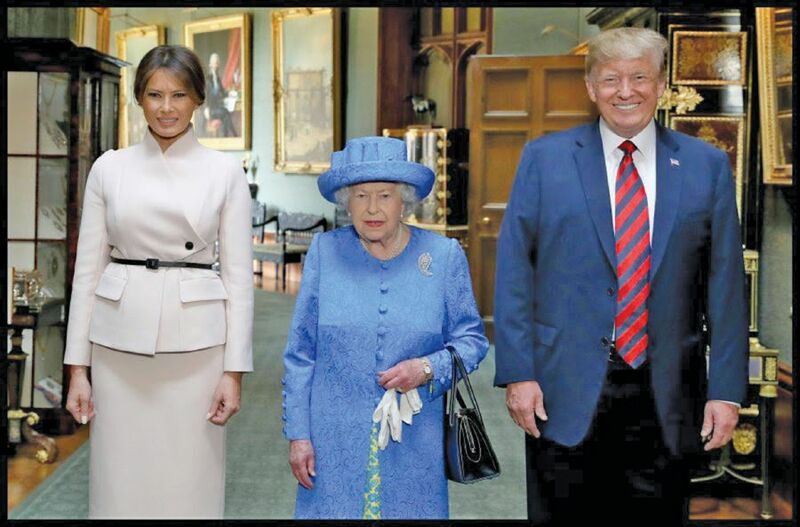 LAST week I was “privileged” to be in the same city with the (in)famous United States president, Donald Trump, who was on an “official” trip to London. That perhaps is the closest that one could wish for given the many happenings that were planned to “welcome” him. Many lessons can be derived from them although I was at the “right” place at the “right” time by sheer coincidence. Bearing in mind that Trump was supposedly protected by a “Ring of Steel” in the host country. Curiously, however, some of the happenings resonate well with certain experiences back home previously, but with quite different outcomes on at least three occasions. As the weather was exceptionally good — not the “usual” English four seasons all in a day — thousands thronged the city to make themselves heard. One unique attraction was the bigger-than-life Baby Trump “blimp” — a high quality hot air (no pun intended) balloon that was crowdfunded by those vehemently opposed to the visit. To paraphrase, a “blimp” is worth more than a thousand words, especially when floated near the parliament compound attracting a large gathering of onlookers. This event in itself spoke volumes when the mayor of London, Sadiq Khan, allowed it to be raised above a certain height for two hours as a mark of protest, to the chagrin of others who took exception to his decision. Sadiq, however, was steadfast. He is known to have a running “debate” with Trump as a matter of principle. Given the circumstances and that the “blimp” was yellow-ish in colour, it reminded me of our own “yellow” balloon episode where a couple of regular yellow balloons were released in the presence of some dignitaries. The person involved was hauled up and charged for an allegedly “insulting” behaviour. The stark contrast to the “blimp” episode cannot be more apparent. The next incident was in the midst of a crowd, mostly ladies, who seemed determined to protest. This was very evident from the colourful and creative hand-held self-made posters that they prepared. “Dump Da Trump” seemed to be the mantra. Some supplemented with witty captions and one-liners like “rancid fa*t has no heart”, referring to you know who. Muslims are no exception since the US president has an axe to grind against them generally. That Mayor Sadiq was singled out by Trump (relative to his European counterparts) in all probability relates to his tendency to bigotry. This again contrasted with many similar instances at home where decisions were tainted with “political correctness” rather than rule of law. Even portraits of selected personalities were ruled out for “political” reasons in the last election. Bigotry of a different sort no doubt. The last but not the least was when the host was “insulted” by the “official” visitor breaching accepted diplomatic norms. In this case, there were numerous examples to the level that some claimed the United Kingdom government could be “undermined”. Descriptions like “extraordinarily rude”, or “ill-mannered” and “insensitive” were highlighted particularly when an ex-cabinet member (who just resigned) was endorsed as a “better” prime minister. In other instances, it was summarily dismissed as “fake news”. Topping it all is the said (mis)behaviour towards the Queen while inspecting the guard of honour. Coming from a country that often claims to be civilised, and worst, insisting on the role of “civilising” others, it really raises the question whether we must be subjected to all these. Especially for those who are just too eager to emulate Trump as a brand of “success”. Remember the reality show, The Apprentice, made famous by the exclamation “You’re fired!” A Malaysian was given the dubious role of “playing” Trump in the Asian version of the programme intended to spread a Trump-like business culture in “civilising” the Asian business world. Otherwise, many eagerly await for an “invitation” to the White House for a photo-opportunity and mutual admiration session followed by a round of golf. Malaysia, too, had its share of a “rude” high-ranking US “visitor” some 20 years ago. The person, no less than the US vice-president, insisted on certain (mis)behaviours that were non-diplomatic in nature, if not downright kurang ajar (rude) against local values and norms. It was equally “uncivilised” to say the least, not much different from what Trump was exhibiting all along. It upset many Malaysians, to the extent that the then director-general of the Institute of Strategic and International Studies, the late Tan Sri Nordin Sophie, took out a full-page advertorial “denouncing” in no uncertain terms what took place. Those who are familiar with Nordin can imagine what the Trump-like impact was then. So that eventful day in London afforded me the time to reflect on what the next “era” for a truly democratic Malaysia would be like. Given that so-called “mature” democracies as in the US and UK can be “mediocre”, what struggle must an emerging democracy put up with? Malaysia is no exception, unless we Malaysians are united in asserting our rights in leading Malaysia through the current challenging transition, especially the 100 days post-GE14. Can we stand up to the world like we used to by not being a chameleon (see MyView, June 6) in the eyes of the international community? Do we still have the courage and stamina to decide as Malaysians first, the way we did last May on one Wednesday that changed it all? In other words, we must not be “trumped” at any cost.